﻿ What is a Metal Building System? As a first time builder, you know there’s a lot of information on metal buildings out there. What effects the price of steel? How do permits work? How do you find a concrete engineer? With all of these different questions, it’s tough to know where to start. A metal building system is just what it sounds like, a system of pieces which are designed to fit together. Many people compare it to a giant erector set. Of course, you want to get acclimated to the parts and components of a metal building system. We’re in the business of education, since we cater directly to first time builders, small business owners, pastors and church leaders and their families. A metal building system contains primary framing, such as columns and rafters. 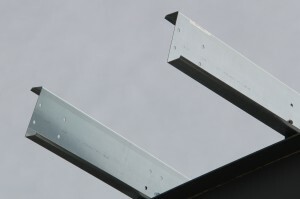 Purlins and girts are classified as secondary framing. Sheeting, fasteners, trim and roofing round out the rest of a metal building system. Columns are vertical main member pieces used to transfer loads from the main roof beams, trusses, or rafters to the foundation. Rafters connect to columns and, in layman’s terms, are the main steel framing that supports the roof system. To get the most space for your buck, it’s smart to incorporate the clear span design in your metal building because your rafters will connect to a column at one end and to another rafter at another end to create an “A” design. This eliminates the need for a truss system. The clear span design is a multi-functional design used for storing airplanes, hay, horses and anything else which benefits from uninterrupted space. 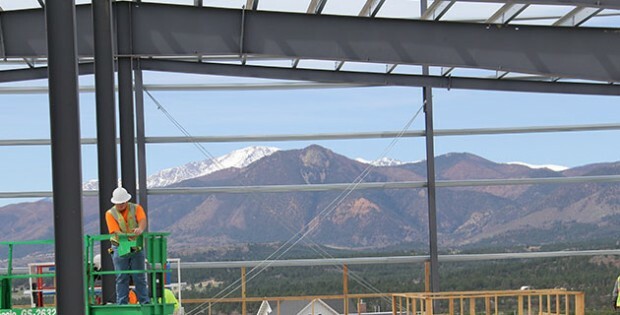 Purlins are horizontal beams which connect to your rafters and help transfer roof loads to the primary framing of rafters and columns. 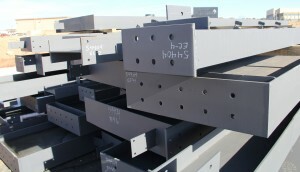 Girts, similarly to purlins, connect to columns to improve strength and durability for wind loads. Fasteners connect the different pieces of your metal building system together. Don’t reach into the leftover screws, nuts and bolts box when erecting your metal building because if you use the wrong fastener, you could open yourself up for the possibility moisture leaking in and causing rust on your metal building. Only use the correct fasteners provided by your steel building suppler to prevent rust from forming and weakening your metal building. Sheeting is the outside walls of your building. Your metal building’s sheeting should overlap to provide a moisture tight seal. You’ll have a choice of color options for sheeting and all standard colors come with a 40-year warranty. Premium sculpted Trim provides an added layer of protection from moisture and energy leakages along with raising the overall appearance of your building. The roofing is what covers the top of your metal building. When shopping around for a metal building, be wary of “one size fits all” packages because they can often require onsite alterations which delays construction time and will often detract from your metal building’s appearance. Those parts are all included in your metal building system purchase. Other important parts you’ll need in your metal building system include foundations, windows, doors, insulation, gutters and downspouts. Your project manager will know where to find the best deals and offers on these products. A foundation is the substructure which supports your metal building. Your foundation is usually a concrete slab or pier system, designed by an independent civil engineer. Doors and windows may seem to be run of the mill features, but are important when it comes to security and energy control. Reinforced doors could be necessary if your design calls for it or you live in a hurricane risk area. Roll up doors will give tractors, cars and other machinery the space to enter your metal building. Windows can be used to provide natural light and lower your energy bill. Insulation will regulate the temperature of your metal building and can be incorporated to meet LEED certifications. Gutters and downspouts protect your building and parking lot from stagnant water and are an important defense from moisture for your building. Remember: Doors, windows, insulation, gutters, downspouts and vents are all considered accessories to a metal building system. You can add any accessories to a metal building system, because they are completely customizable! If you’re interested in learning more metal building terms, or want to soak up more information, be sure to check out our resources section!